← Which lens is the right one to use? I am traveling back to Vietnam with 11 Navy Seabees as they return to the locations that were at in 1967-69. I really want to take my Panasonic HPX370 but have been told I would attract a lot of attention and would most likely be assessed location shooting fees and a personal guide to assist in selecting what footage I can use. So I am taking my DSLR Nikon D800 and a GoPro, I intend to look like any old tourist but will be capturing some HD video and high quality audio. For the audio into the Nikon it just takes a simple mini to XLR cable, but also I will be using a Lectrosonics LMa Digital Hybrid Wireless Transmitter and UCR100 Receiver attached to one of the guys as we explore the locations, and later for interviews in the hotels. 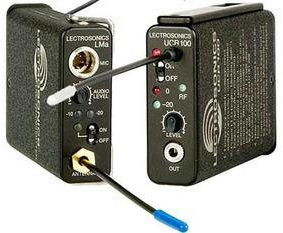 A simple stereo mini to mini will give me great audio. I have been practicing with they system for several weeks and it perfected the settings. I have a small tripod for use for the interviews but will not use it in the locations. A few extra batteries, memory cards (SD-video and CF-still photography) and I should be lightweight and able to capture what I need. The Nikon DSLR will be used for still photography and also for video. Traveling with a 20mm wide angel for general filming and a 50mm for portrait and interviews will give me a rich look with depth of field being controlled by the aperture of the lens. 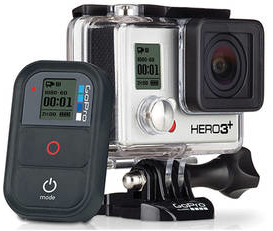 The GoPro (Hero 3 ) will be used as a on the hood of the car capture and for general shooting. Since the lens is a small aperture lens the depth of field has everything in focus. The view is 190 degrees and has a rather flat look to it, but it will work well.